Winter is a time when Scotland really comes to life, where our favourite stories are magically transformed on stages, perfected through music and dance; a time when our beautiful castles and stately homes are almost unrecognisable under dustings of snow and beyond majestic, decorated Christmas trees; and winter events are geared up to help us celebrate the season. With hundreds of castles and grand properties to boast, it’s little wonder that winter is Scotland’s enchanted season. For Christmas shopping with a twist, head to Stirling Castle on 4 December where a host of suppliers are waiting to help you find the perfect gift. Hopetoun House in South Queensferry also hosts a Christmas Fair (16-18 Nov) amid stunning surroundings. 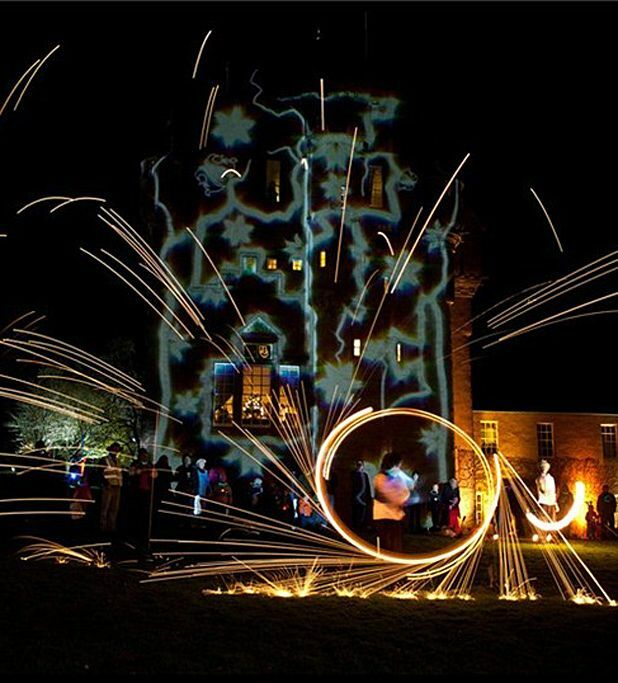 Enchanted Castle (21-25 Nov) is a spectacular light and sound show at Crathes Castle, Aberdeenshire. Themed around ‘Fantasia’, be dazzled by stunning projections and stroll along a whimsical walkway of illuminations and musical surprises. Culzean Castle in Ayrshire is a must for devotees of the festive season, from Santa’s Elves’ Christmas Trail to a meeting of fairytale characters, a Christmas market, carols and more (festive events begin 2 Dec). You can also meet Mrs Claus at the fabulously decorated Pollok House in Glasgow and enjoy a Victorian Christmas at Kellie Castle, Fife. Year of Creative Scotland is helping to spotlight, celebrate and promote Scotland’s cultural and creative strengths on a world stage. Find out all that this special year has to offer at www.visitscotland.com/creative.